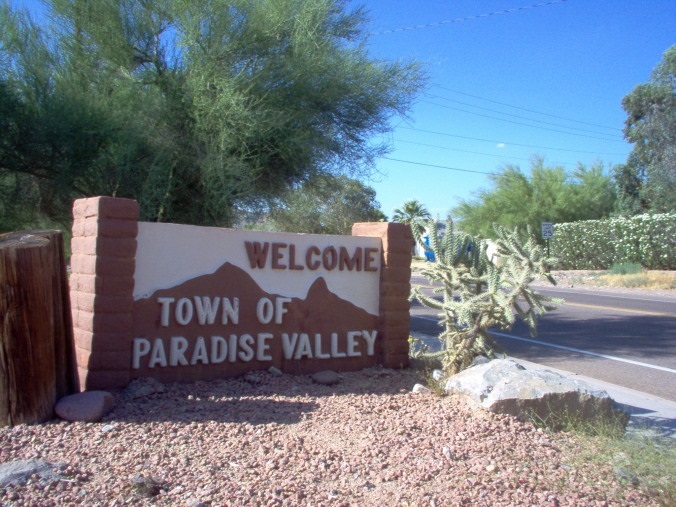 Paradise Valley is a small, affluent community nestled between Central Phoenix and Scottsdale. It's known for its expensive real estate and with few exception all the lots are relegated to a 1 acre minimum, given most of the properties an opulent estate style feel. Home to many of the valley's celebrity, it's considered the most exclusive of communities for the state of Arizona.